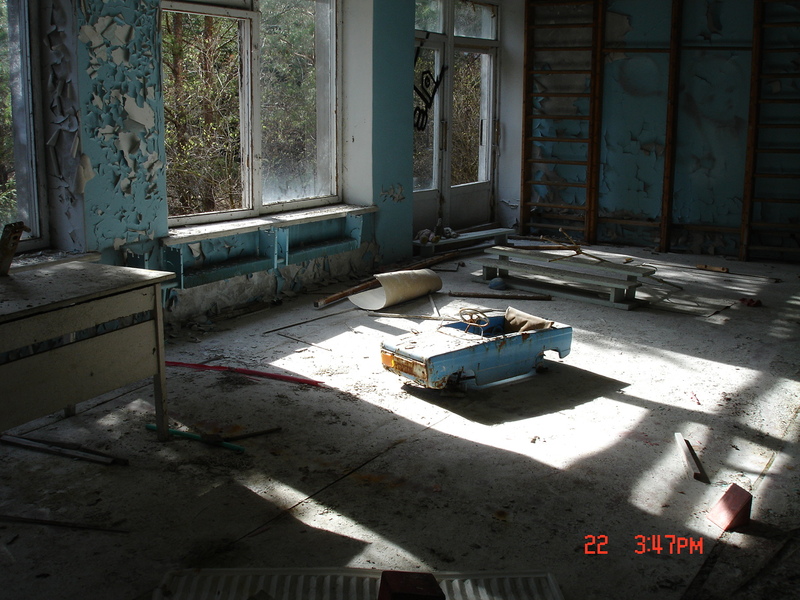 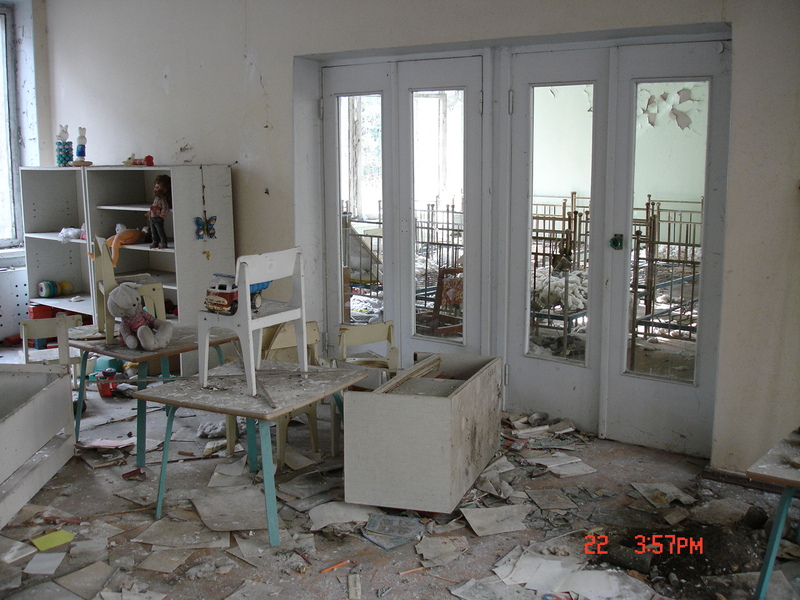 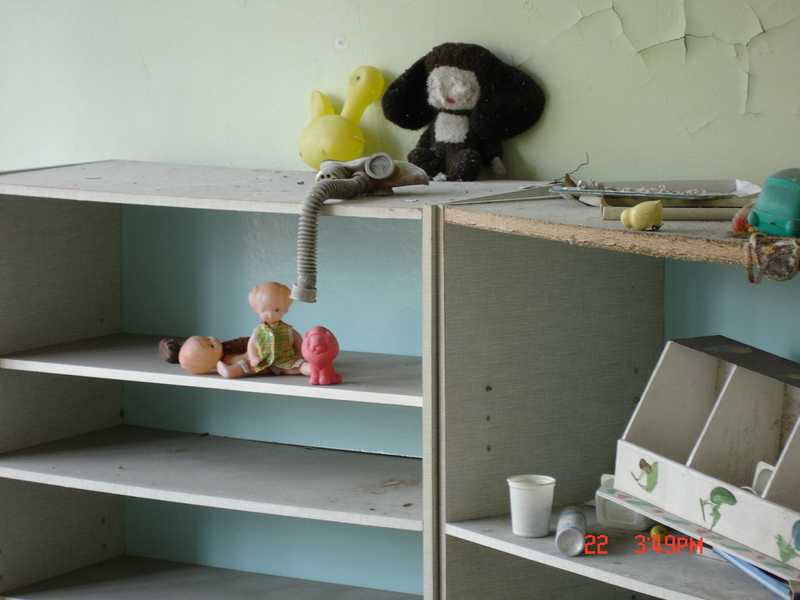 Former school in Pripyat, near Chernobyl, 2006. 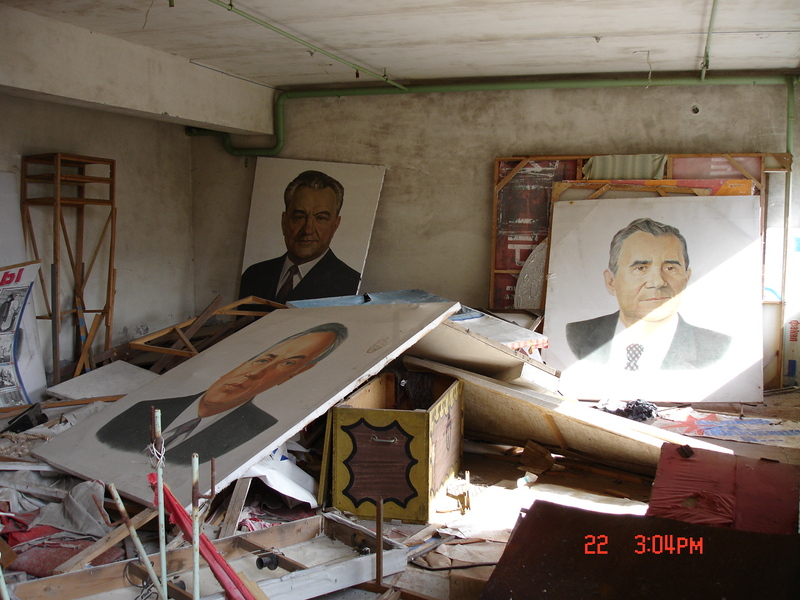 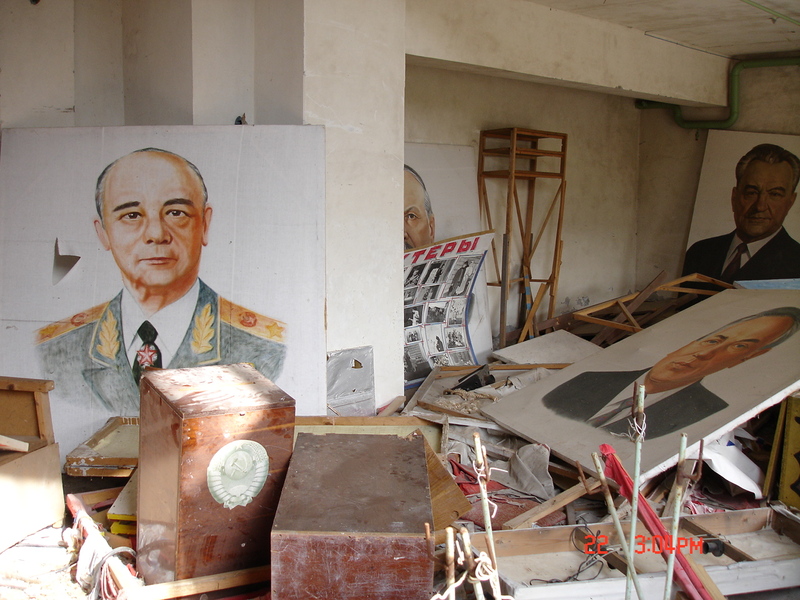 Backstage at the Pripyat theatre, 2006. 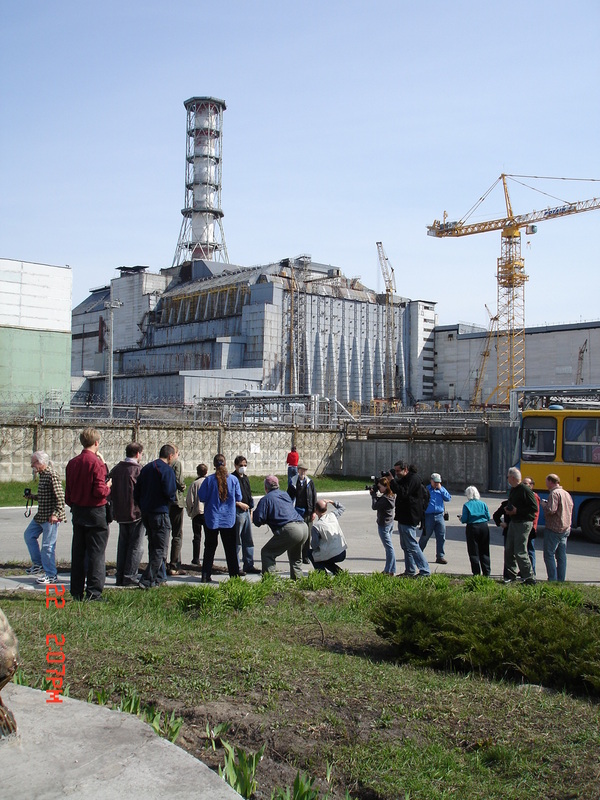 "Disaster tourists" in front of the sarcophagus surrounding the destroyed reactor in Chernobyl, 2006. 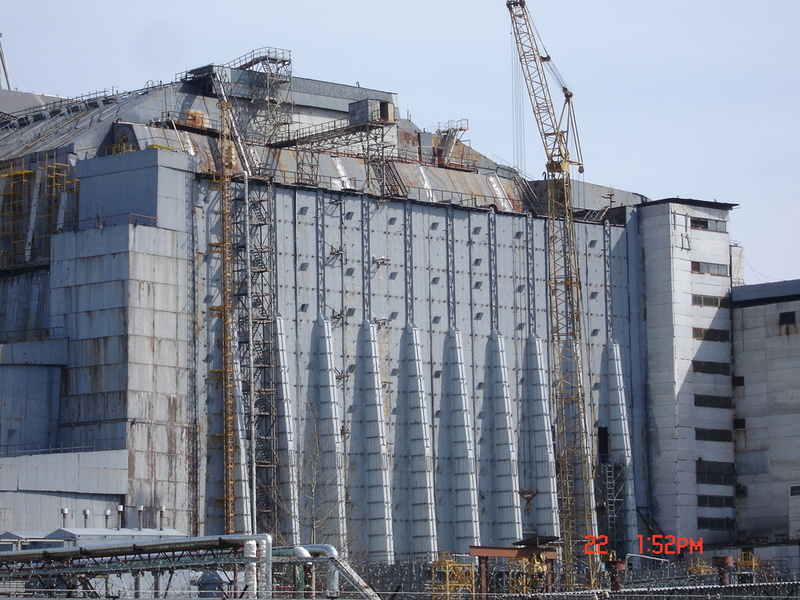 Sarcophagus surrounding the destroyed reactor in Chernobyl, 2006. 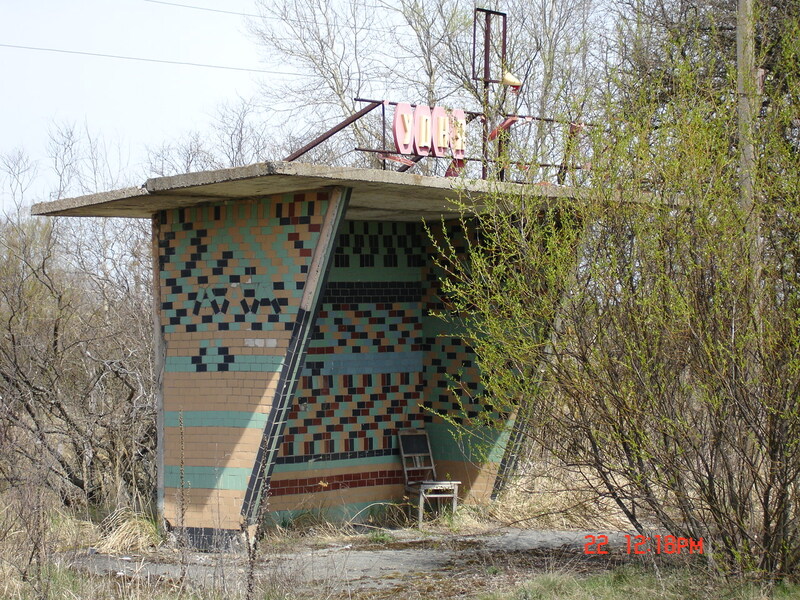 A former bus stop shelter on the way to Chernobyl, 2006. 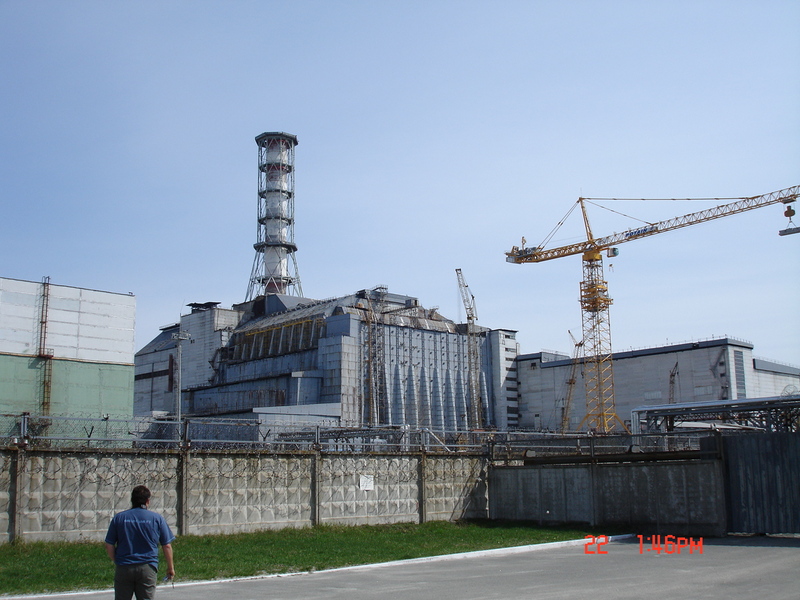 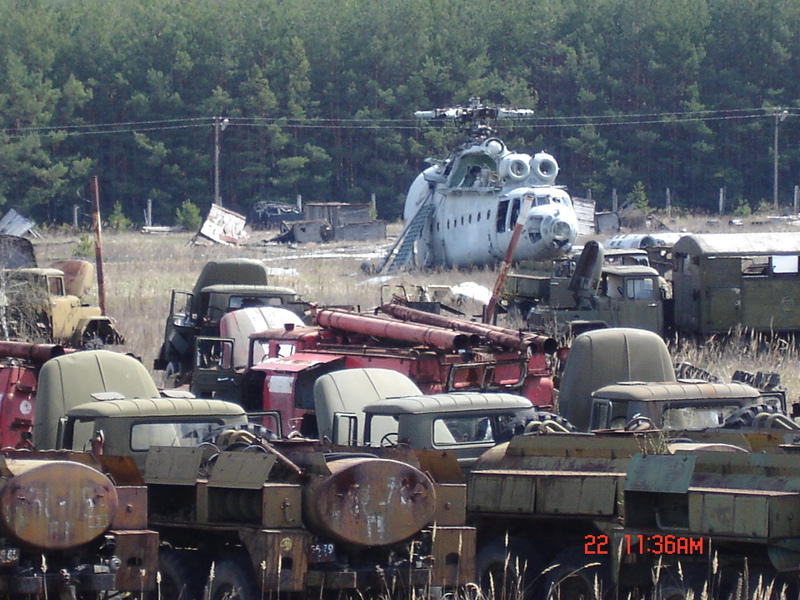 The "graveyard' of highly contaminated equipment used in the clean up of the destroyed Chernobyl reactor, 2006. 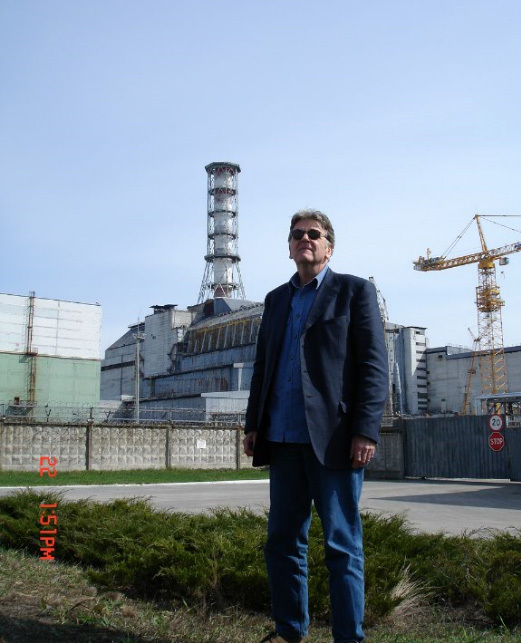 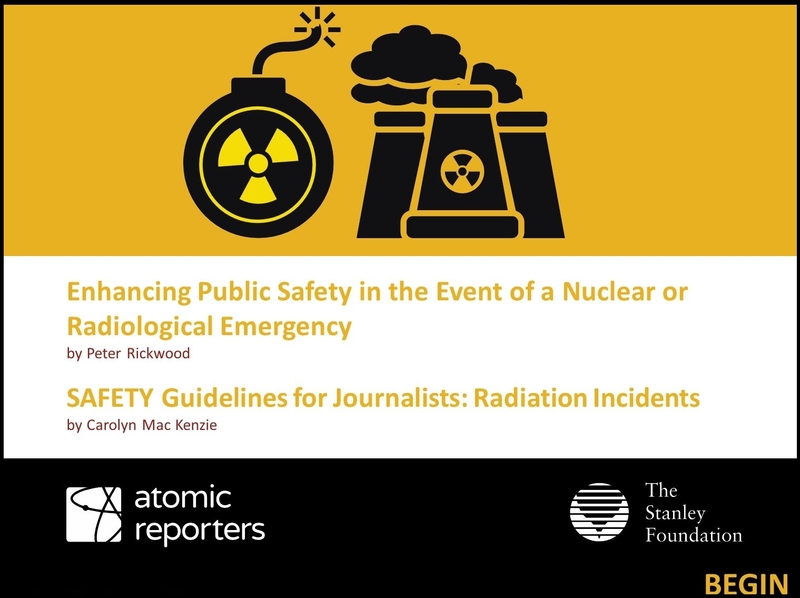 Atomic Reporters founder Peter Rickwood in Chernobyl, 2006.